For the perfect team building destination, Herd Farm is within eight miles of Leeds city centre, Otley, Harrogate and Wetherby. Those businesses looking for fun and meaningful corporate away days, with out of office work based and team building activities should head to the grade two listed farm site for just the right corporate retreat. Whether you are looking to take your team away for a half-day or full day of events, or even overnight or longer, Herd Farm can cater to your needs. We are set up to host any business, with well-equipped formal and informal meeting rooms, free Wi-Fi and an interactive whiteboard, it offer teams the chance to get work done, as well as enjoying the great outdoors. All our staff are site-qualified and experienced to lead all activities and will ensure smooth-running throughout your stay. So whether you want your team bonding to start on the high ropes, and test your colleagues team skills and working on the assault course we can work with you to create the right corporate away day for your business. Overall we offer more than 40 fun and challenging indoor and outdoor team-building activities, with our experienced chef providing delicious homemade meals to keep your teams and businesses going. Our puzzle loft offers your chance to test your team’s performance under pressure trying to solve challenges together. There are 50 beds in high quality accommodation in our grade two converted barn, and we can offer your team sole use of the site and access to all the share spaces, and areas of the site. We can also offer flexible arrangements – to self-cater, or organize your own activities for example. 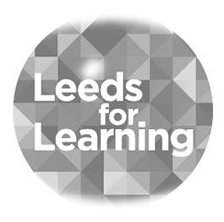 Is your team looking to give back to the Leeds community? Ask us about our varied and rewarding corporate social responsibility (CSR) activities and projects. Pricing quoted is designed to be indicative of the cost for each activity. We recommend getting in touch for a complete quote tailored to your needs.